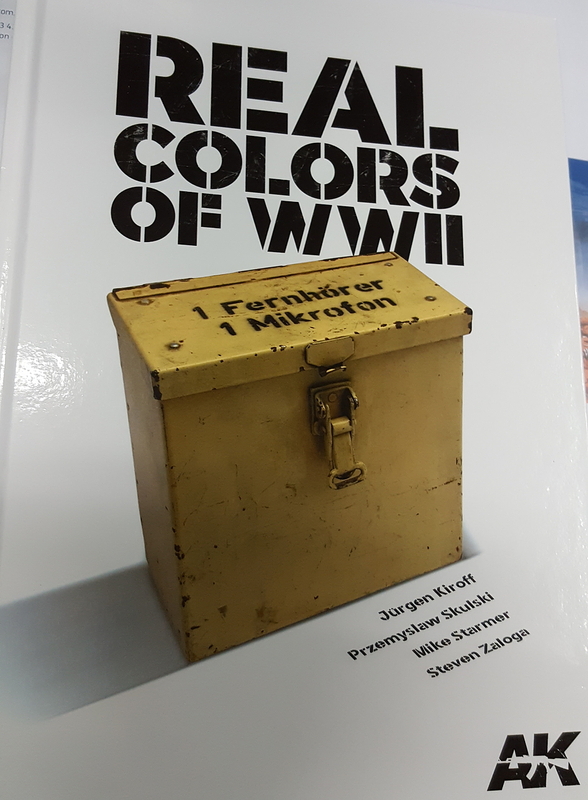 This publication is worth every cent and will have you rethinking your colors for a number of fronts and periods during WW2. 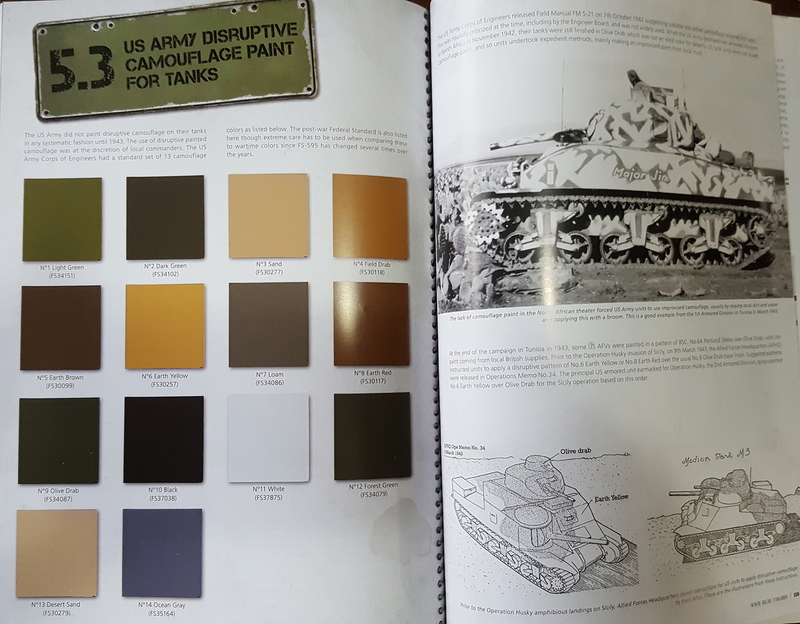 The index below shows you the extent that this great book goes to cover all aspects of military vehicle and equipment paints during the period. 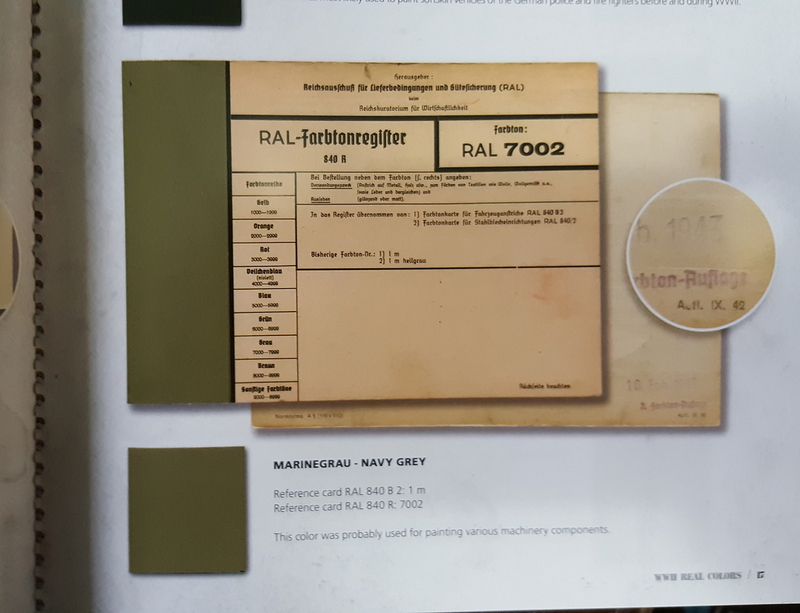 * Important Note - some updated info was given to me by nsmekanik and I quote: apparently Mike Starmmer is none to pleased with paint matches, and according to this thread on Missing linx the German color matches are not all that good either'. This was after I had written the article but he was kind enough to let me know before it was posted. 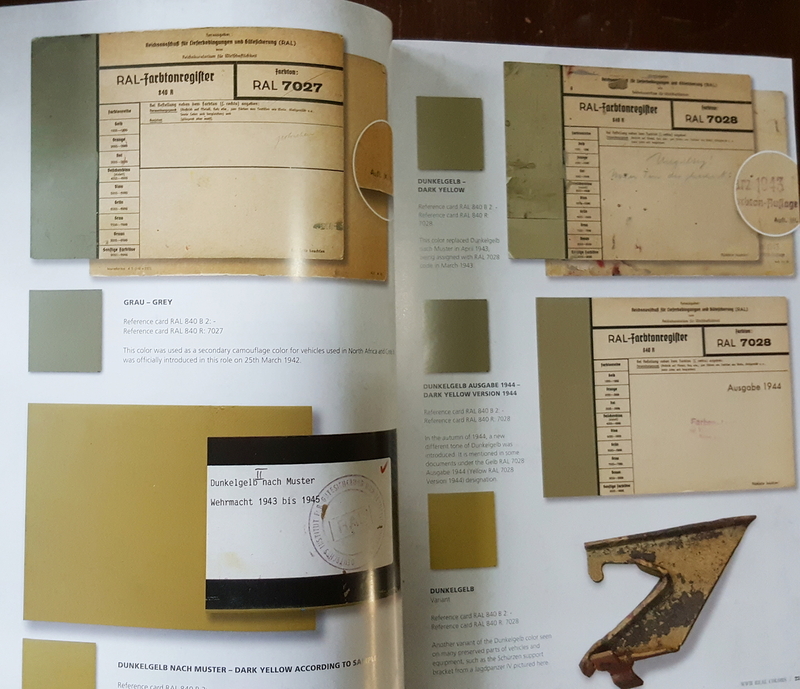 I followed the link and read the discussion which was very informative but at the same time disappointing in that some of the color swatches have not been processed correctly so that they(the photos of the color swatch doc) do not show the true color tone that was on the original physical document. I still think the book has a lot of merits but it really bothers me that they could not get a simple thing like a photo correct to the original when this is what the whole book is based on! Anyway read on ands certainly also follow the link to see what is incorrect - also note that it is not ALL incorrect. Right up front they supply you with a color checked and calibrated chart, that is fantastic for both models and military art, so it was a must have for me. 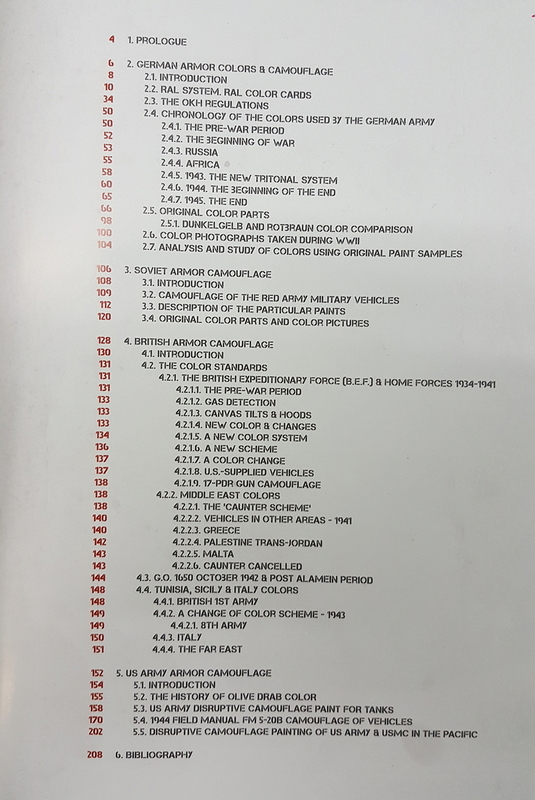 This chart and the original RAL documents inside the book (represented in full color) tie down all of the actual colors for each period to factual information that is represented clearly and logically in a time based format. This is done better than ever before as it feels like you are viewing the real documents. see the following images to get a feel for what i mean. AK have combined this fresh presentation with color photo examples of real equipment in original colors, which just adds to the accuracy. Throughout are also various color photos and black and white pics that are of very good quality showing examples of what is discussed. Some of these you will have seen before but they have only used photos of relevance and high quality. 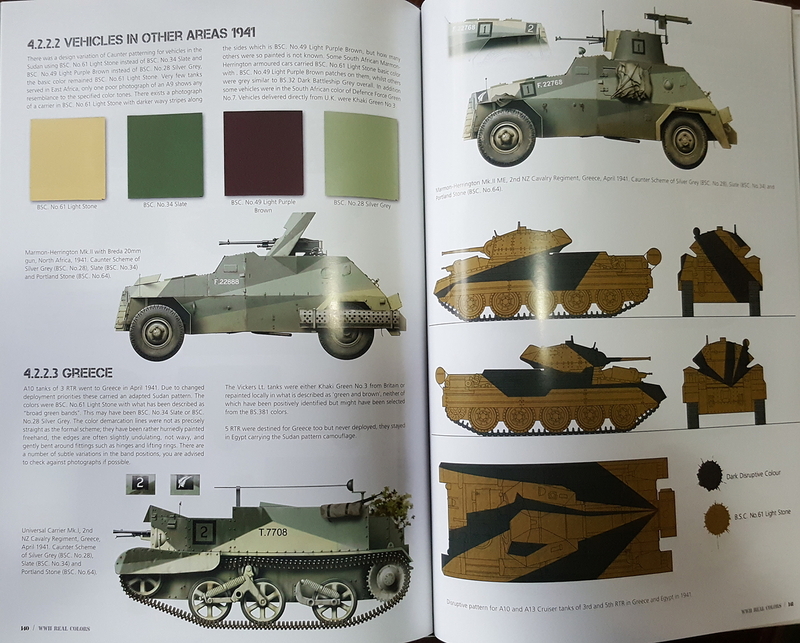 They have also provided some color profiles of the schemes which are sufficient but i feel are the only weak point to the book, the back page of the publication having the best examples....but that is only my opinion as i like a high quality for profile art. I hope this review has been helpful and informative and if you would like any more info on the book before you buy just ask or send me a message and i will be happy to answer your questions.